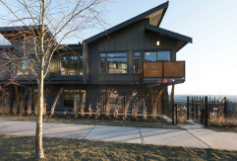 Whisper townhomes and duplexes have the classic views Burke Mountain is famous for! A collection of 36 designer three bedroom homes that include all of the upgrades. Ranging from 1300 to 1900 square feet, Whisper homes include stunning views, stainless steel appliances, quartz countertops and spacious layouts. Built by Gardenia Homes, these homes are quality built with tons of great extras! Approx. 1,300 - 1,900 sq. ft.